British domestic team Pedal Heaven is aiming to step up to UCI level next season as it unveiled its squad for 2015. The southeast team, sponsored by the Fleet bike shop Pedal Heaven, was the top ranked non-UCI team in the 2014 British Cycling rankings. More than a quarter of their ranking points came from Lewis Atkins, the UK’s number one ranked domestic rider, who won 20 races in 2014 and will race for the team again this season. “We’re not looking to be a team that spends all its time around Europe, we want to be British based, grassroots, brining youngsters through,” explained team manager Tim Elverson. The team is hoping to tempt bike brand Specialized back into sponsoring a British team for 2016. Pedal Heaven currently ride Specialized bikes and use the American firm’s equipment, however the last time the company was title sponsor of a British team was in 2011 with Sigma Sport-Specialized. 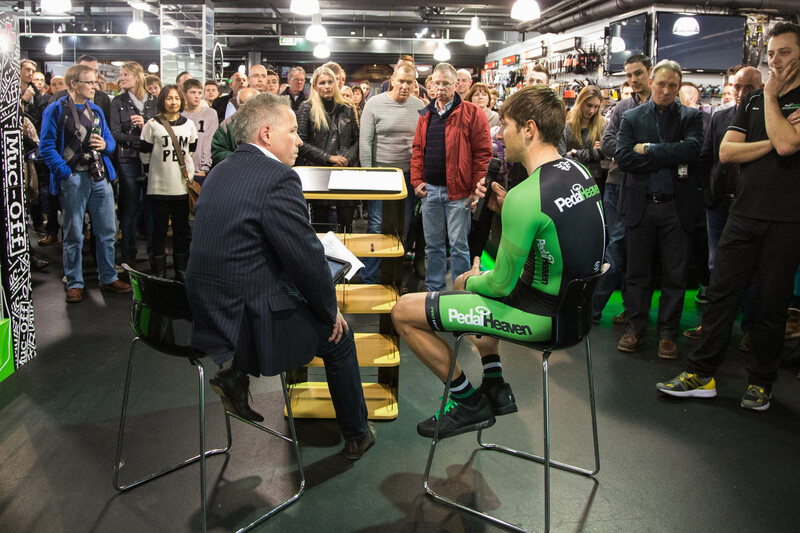 Team and shop owner Craig Peter believes the increasing profile of the British scene and Pearl Izumi Tour Series in particular has made British teams an attractive proposition for sponsorship. His squad will focus on performing at the televised series of city centre criteriums in 2015, which includes for the first time this year an award for the top non-UCI team at the end of the series. “I think with the Tour Series, you’ve got good coverage and Bradley Wiggins will be there [with Team WIGGINS],” he explained. 2015 Pedal Heaven team: Lewis Atkins, Rory Townsend, Chris McNamara, Gruff Lewis, Dave McGowan, Mitchell Webber, Jamie Pine, Dave Creeggan, Will Fox, Will Harper, Robert McCarthy, Rob Moore, Harrison Jones, Max Stedman, Steve Williams, Simon Holt, Alex Paton.